Under the bright, positive, innovative leadership of Mayor Doug Athas, Garland is becoming greener and greener. A few weeks ago, members of Loving Garland Green appealed to various grocery stores in Garland to donate their spoiled vegetable produce. We need this produce to use as green manure to enrich our garden beds. We didn't have a lot of luck. Apparently these merchants don't understand that it is OK to do this in the City of Garland. In fact, some of them even told us they didn't allow pickup of spoiled veggie produce because the health department would fine them. Naturally I complained to the Mayor as I always do and, as usual, the Mayor's office took swift action to follow up on my whining. He sent a query to Jason Chessher, Deputy Director of the Garland Health Department asking: " . . .are there any identifiable health interests into whether a grocer allows private individuals to take and recycle produce department wastes?" And here was Deputy Chessher's prompt response (one hour later via email) to the Mayor: "22.30(M) Facilities for disposal and recycling community or individual facility. Solid waste not disposed of through sewage system such as through grinders and pulpers shall be recycled or disposed of in an approved public or private recycling or refuse facility; or solid waste shall be disposed of in an individual refuse facility such as a landfill or incinerator which is sized, constructed and maintained according to law." "The only caveat is that the process cannot become a nuisance or create an ancillary issue such as attracting rodents because of storage or handling. Feel free to pass my contact information on to Ms. Berry for additional questions." WHAT ARE THE NEXT STEPS TO CREATING A SERVICE FOR RECYCLING GREEN MANURE INTO GARDEN BEDS? 3. Design the campaign along with some written materials for educating grocers in our community so they are not afraid to give us their spoiled vegetable produce. 4. Obtain enough community volunteers to support the project. We will need volunteers to pickup and also to receive the produce. 5. Put the plan in action and obtain produce from one grocer to begin. Monitor the project closely to enable the process of continuous improvement. Then apply the experience and lessons learned to the expansion of these activities. Note: We might even be able to obtain a grant from a group like Kickstarter to assist us in funding this program. WHAT IS THE FUTURE VISION AND POTENTIAL FOR THIS PROJECT? Loving Garland Green is a nonprofit 501 (c) 3 organization. We are the official stewards of the Garland Community Garden, the first community garden in Garland on City property. We view our community garden primarily as a test site, a giant experiment, to provide examples to our community of various opportunities that a plant-based economy can provide for not only enhancing the health of a community, but also for boosting our local economy. There is just something about growing gardens that leads to growing other things--like jobs and new businesses. None of us are trained horticulturists and we are learning as we go. Yet, even in our short year of existence, we have learned much. For one example: We have learned that loofahs grow like weeds in Garland. We grew one vine out of a five-gallon bucket and sold 12 loofahs from it at the Garland Marketplace in August of 2014 at $2 a piece. Thus, one of our projects for 2015 is to create a large loofah tunnel and grow many more. As for the expansion of our recycling service, once we get a little success under our belts, we might work with other community gardens in the area to assist them in setting up similar collection services for their gardens. We might provide a section down at the Garland Community Garden where local Garland gardeners could pick up the compost for their gardens. An even larger vision this project could springboard to is the creation of a Garland cooperative that picks up tons of this organic matter every week and processes it into compost that is sold by the bag to local residents and to folks in the region. This co-op could help stabilize our local economy and provide jobs for some of our citizens. Perhaps as part of their charter, they would agree to donate 10% of their product to community gardens and local Garland urban farmers. Cooperatives are very good business formats for local economies. It takes a good mix of business types to provide for a healthy stable local economy: small businesses; mom/pop shops; chain stores; corporations, and cooperatives. As in everything, there is great strength to be derived from diversity. What is this? To some it is only a messy pile of leaves. To others it represents the potential for the formation of a multimillion dollar cooperative in our community. All the recent hoopla in Garland, Texas over complaints regarding the bags of leaves down at the Garland Community Garden may actually end in a very positive outcome for our municipality. These complaints have highlighted and called attention to 1) the lack of understanding that some of our residents have regarding the value and potential benefits of recycling leaves and 2) the lack of understanding regarding organic garbage from our refrigerators that we put into these bags which are then picked up by the city and hauled off to our landfill. We need to get going here with some serious education regarding the value for recycling our leaves and the vegetable scraps from our refrigerators in the community of Garland. Currently we put thousands of pounds of organic matter into our landfill that could be recycled into fertile garden soil used by residents of our community and other communities to grow edibles. So let's meet half way in creating a ballpark estimate for leaf bags. Some households like mine may have as few as 10 while others have at least as many as 25 bags. Let's say that each one of our 80, 834 household generates 10 bags of leaves every year. Just how many bags is that every fall going to our land fill? That would be a very conservative estimate of 808,340 bags of leaves. This count would likely be closer to one million bags if you consider that many businesses also bag up leaves for our city to pick up. And that doesn't even take into consideration the amount of spoiled vegetable matter each year that we either put down our garbage disposals or into a polyethylene bag for the city to pick up and carry to our landfill. At a pound a week per resident, that amounts to 52 pounds a year. Multiply that amount by 234,566,000 residents. Polyethylene bags do not biodegrade. They can, however photo-degrade when exposed to sunlight over a period of time. Most of the bags in our landfills are buried from the sunlight long before the process of photo-degradation has time to begin. Thus estimates that scientists give for the breakdown of these bags ranges from 500 years to never. Consider this: Those bags full of leaves that you put out on your front lawns every year to be picked up by the City of Garland are part of your legacy as a human being. They will live longer than your children, your children's children and even the memory of you and what you did in your brief moment in time on our planet. An enterprising group of people here in Garland could band together to form a cooperative. The purpose of this cooperative would be to establish a for-profit business that picks up and processes leaves and other biodegradable matter such as paper, cardboard, and unprocessed vegetable matter into rich garden soil. Other cities such as Mesquite and Plano do process at least some of their leaves and organic matter into soil. However, as I understand their services and operations, this is done with some expense to their local taxpayers as it is done solely through their city governments. I could be mistaken but I don't think either municipality's operations of these facilities are without support from their taxpayers. Perhaps its possible that we in Garland might, with assistance from our City leaders in the beginning and perhaps even some State and Federal grants, establish a for-profit business cooperative that would serve its members and members of our local community by creating jobs. It is an idea and an alternative certainly worth consideration. Cooperatives offer the most stable form of business for a local community. This form of business structure is anchored in the local economy. Their primary purpose is to create products and services that are largely consumed by the local residents and folks in the surrounding region. It has been observed in several studies that communities who have locally-held cooperatives have much healthier economies than those that do not. All communities need various types of businesses-- chain stores, corporations, mom and pop shops and cooperatives--in order to stabilize the local economy. Cooperatives, because of their local ties and local membership are highly stable business models. Mom and pop shops usually consist of one or two people and less than 10 employees, if any. When the owner dies or decides to move away, these business often end their existence abruptly and often with disastrous impacts to the local economy. The Co-op on the other hand has many other people to step up to the plate and continue its operations when one of its members leaves. Consider the chain store or corporation: Their leadership is not local. Their loyalty to the local community extends only as far as the bottom line as defined by the people at their corporate headquarters. If their accounting folks at corporate headquarters decide that it is more profitable for them to consolidate stores and move one or more out of Garland, then that's what happens. Like leaf bags, most Americans don't understand cooperative business structures either. Some folks think of them as a leftover business style from the 1960's and early 1970's. Others think of them as a communistic business model. The truth is that the cooperative business model is perhaps the most democratic form of business there is. Research from the University of Wisconsin on the Economic Impact of Cooperatives. 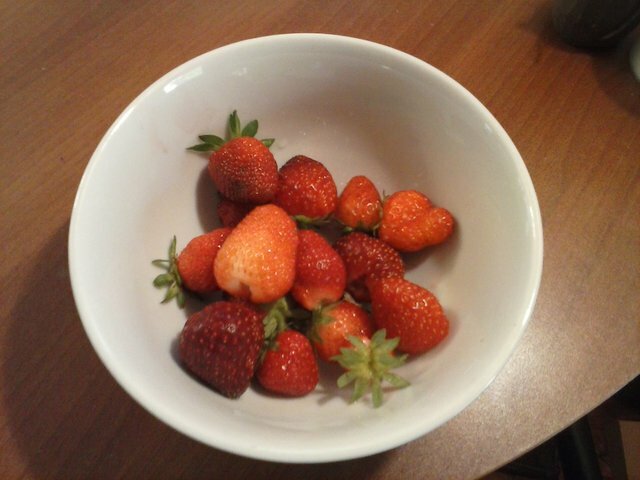 Some Strawberries from the Garland Community Garden in 2014: We need your support for our garden so we can grow many more of these in 2015. Please contribute today with your time and money. And the Benefits for you and your community? Community gardens have been shown to increase property values in the immediate vicinity where they are located. In Milwaukee, properties within 250 feet of gardens experienced an increase of $24.77 with every foot and the average garden was estimated to add approximately $9,000 a year to the city tax revenue (Bremer et al, 2003, p. 20; Chicago, 2003, p. 10; Sherer, 2006). Garland Texas is a majority minority working class community. We have a proud history of pulling ourselves up by our own bootstraps since day one. Garland Power and Light is the City of Garland's locally owned and controlled electric utility. It was formed by a group of Garland citizens who bought a generator and set up a city utility. Then a $100,000 bond was voted in the early 1920s to finance a 2,300-foot well and an overhead storage tank so homes and businesses could have running water. We have a long proud history of our citizens pulling together to accomplish the impossible and doing it. Furthermore, to this day, we are one of the few cities in the USA who do it with a balanced budget for our citywide operations. We are not mired deeply in debt like many municipalities our size--thanks in great part to our City Manager, Bill Dollar, members of our City Council and our Mayor Douglas Athas as well as our other city leaders who have gone before them. We are a city who truly honor and celebrate the old-time American values on which our country was founded. If you don't believe me, attend our fabulous Fourth of July--one of the greatest family events in Texas, if not the USA. If you need further proof of how much we value labor and the working class, then attend our Labor Day Parade and celebration, our second largest city celebration of the year. In fact, as far as I know, Garland is one of the few, if any, cities in the DFW area who even have a Labor Day Parade. The Garland Labor Day Parade is the largest Labor Day Parade West of the Mississippi. Like most of our other city sanctioned activities, and in keeping with other local ventures in our city, the Garland Community Garden is an experiment unlike any other community garden. Most community gardens are set up so that individuals wanting to garden there pay $40 to $70 a year for a garden plot. These gardens usually have a fence around them with a padlock to keep people out. The Garland Community Garden is truly a community garden that is open to the community. It has no fence and citizens are welcome to roam the area 24/7 from dawn to dusk. Residents who want to garden, or who want to come down to the garden to pull a few weeds or rake, or simply walk around the peaceful setting are not charged any money to do so. 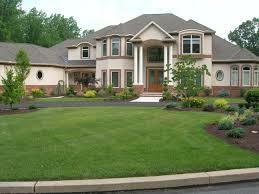 (If you want a garden plot, you will have to contact Loving Garland Green as they are the stewards of this property.) We don't even mind if you nibble a few strawberries in season while you are down there. Loving Garland Green, a 501 (c) 3 nonprofit organization pays the water bill and promotes the garden and its activities on its website at http://lovinggarlandgreen.org. Unlike most organizations, Loving Garland Green does not charge a membership fee to join, thus anyone with the desire to garden together with others can come on in. And in these efforts, nothing succeeds like success. Loving Garland Green members don't just talk about growing edibles, we grow them and we also report on our successes and failures. Members of Loving Garland Green are well on the road to discovering what grows well in our area. You can read about many of these discoveries right here on my blog for Eat Green DFW. You can also read about them at the Loving Garland Green website. Another thing to keep in mind about members of Loving Garland Green is that currently none of us are experts or trained horticulturists. We are average Garland citizens who believe in the value of growing some of the food that we eat--to sustain own health as well as that of our local economy. I started the first vegetable garden of my life in my front yard in mid June of 2013. I am learning as I go. However, while I definitely prize the knowledge I learn first-hand in the field, I also value the education that can be attained from experts. That is why I'm enrolled in the Texas Master Gardener Class for 2015 here in Dallas County. I also look forward to putting in a lot of volunteer time working with them in a community garden they will be stewarding that is also located here in Garland (south Garland). Garland is fast on its way to becoming the educational center for urban farming in Dallas County which brings us almost to the point of achieving a dream I've had for about three years: for our community to establish the Garland Urban Agricultural Center. Who knows? perhaps in 2015 we will get to see vertical vegetable gardens growing on sides of our downtown buildings. 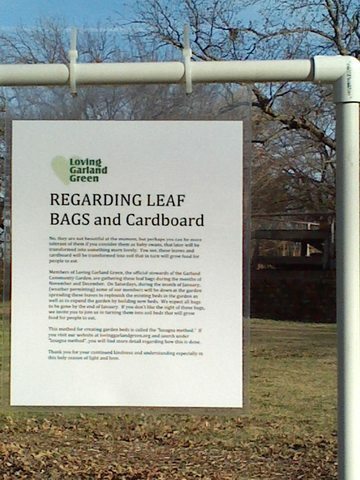 As president of Loving Garland Green, I obviously did not get the word out well enough in the beginning to the residents of Garland regarding the leaf bags and cardboard that folks see down there. If I had, then perhaps some people would have not been so upset. Had they asked me, I would have been glad to tell them. Then they would have understood there are leaves in the bags and not trash and they would have understood that both the leaves and cardboard were temporary chaos on the garden scene--organic materials that would soon be used to construct more beds at the garden. It is true that we often condemn and judge based on appearances and not fact. As for my part, I could have been more patient and understanding. However, as a tribute to our Garland residents, I have to say that once they understood the situation, many of them rose to the occasion to support the garden. 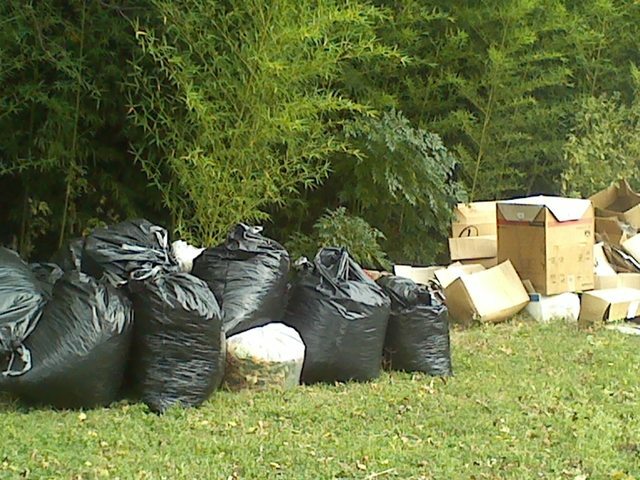 Since I wrote the article regarding the complainers and explained about these bags and how they would be used to create lasagna beds, citizens have been dropping off so many leaf bags that I now have to say: Please don't bring any more leaf bags. At least for now we have plenty. 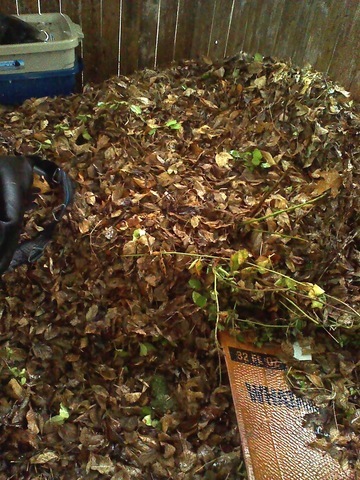 Since I wrote that article a few days ago, people have dropped off close to 100 leaf bags. I love my city and its people. You are great! We are counting on Garland Residents to step up and support the Garland Community Garden in 2015. Twenty-two people, most of whom work full-time can only do so much. First of all we are increasing by one-third the number of garden beds down at the garden over December and January. While we have enough leaves and cardboard, we need 1) rabbit manure and 2) vegetable scraps (not from cooked veggies but from the fresh produce in your refrigerator that may have gone bad before you had a chance to eat it). If you bring it down to the garden you can leave it beside the compost containers. Just dump it on the ground will be fine or right into the containers if there is room. Someone will be down daily to move it into the beds. This material is needed to speed up the composting process in the leaf and cardboard beds. These beds will be covered with 6 mil black plastic sheetings. The nitrogen in the rabbit manure and veggie scraps, combined with the black plastic covering to keep the heat in will speed up the decomposition process. By the middle of March, with the additions of a little top soil, we will be ready to plant. 3. Money - Checks made payable to "Loving Garland Green" and sent to Loving Garland Green, 216 East Kingsbridge Drive, Garland, Texas 75040. Loving Garland Green is a 501 (c) 3 nonprofit organization and donations are tax deductible according to state and federal law. 1) Installing two self-standing rain barrels with catchment systems to supply water for the two existing square foot garden plots in the area. 2) Building 330 gallon rainwater catchment and reservoir systems from IBC totes to supplement water needs for the winding garden. 5) To purchase materials to build the structure for a Loofah tunnel. We Americans spend ten times more on our lawns each year than we do on textbooks for our children. Dave Barry, the syndicated columnist once wrote: "The average American homeowner would rather live next to to a pervert, a heroin addict, or communist pornographer than someone with an unkept lawn." Americans spend $27 billion a year caring for turf. That's ten times more than is spent on textbooks. We are a nation obsessed with appearances at all costs regardless the consequences to our future health and the environment. These values are nothing short of being insanely self-destructive and irresponsible not only to our generation but to generations that follow. Last night I resigned as President of Loving Garland Green because I want the organization to survive and continue to move forward in directions that will educate and raise awareness in my community of the importance of growing at least some of the food we eat locally in our own yards. This organization is too important to be sacrificed to my personal impatience to deal with things as they are. Loving Garland Green is much more than a garden club. It is a great group of people who are dedicated to learning together about garden techniques and what grows well in our community and then to spread that knowledge to others--not as "experts" per se, but rather as those literally in the field who have discovered first-hand what works for vegetable gardens in Garland. To this point I believe my particular brand of leadership has been necessary to stand up to and plow through the bureaucracy and status quo surrounding any attempts to establish a community garden on city property. Many have tried it over the past years and failed. For almost a year now the Garland Community Garden at 4022 Naaman School Road stands as testimony to the success of my persistence and unwillingness to take "no" as an acceptable answer from those in city government. However, I am now totally drained and obviously devoid of any public relations skills--not that I had a surplus of those talents to begin with. It is time for someone with more patience and willingness to deal with the status quo than I have to pick up the leadership role for Loving Garland Green. The straw for me came on Monday, December 15 when I received the email from the Neighborhood Vitality Department informing me that Loving Garland Green was in violation of city codes because of the "trash bags" that were in the Garland Community Garden (actually bags filled with clean leaves). From my point of view, that email and the complaints behind it mirrored an insurmountable level of ignorance regarding how many in my community and other communities all over the USA are damning our environment for future generations for the sake of appearances--and false appearances I might add. Every year here in Garland thousands of bags of leaves that could be used to create garden soil are hauled off to the landfill. An organization that tries to save a few hundred bags of these leaves to create soil to grow edibles, instead of being rewarded for their efforts, is criticized and cited for a code violation. This is bad enough, but the same city department issuing this notice also hands out taxpayer money for grants that support improving golf course properties and signs for private association entrances while ignoring requests to fund projects that create vegetable gardens in the homes of Garland residents. In the name of hope I would like to add there are people in Garland who do know better and who are coming forward. For example, a man came down to the park yesterday when I was working down there to drop off four bags of leaves for the garden. He said, "Better here than in the landfill." I will continue to garden in my own yard and also at 4022 Naaman School Road, and I will continue to be a member of Loving Garland Green. And I will continue to speak up on issues that are important to me. However, since I will not be President of Loving Garland Green, no one can construe or claim that what I say is representative of that organization. Stepping down will also give me more free time to finish a book I'm writing on my experiences this past year in establishing a community garden here in Garland. 1.When you clean out those veggies from your refrigerator that you never got around to eating, forget about your garbage disposal. Never use it again to grind up veggies. (While probably not a cardinal sin, use of a garbage disposal for veggies that have gone bad must surely be a venial sin.) Get a 5 gallon bucket from the local hardware store--one that comes with a lid. When you discover a slimy bag of lettuce, or a tomato that your thumb goes through when you pick it up, toss that stuff in the five-gallon bucket. Then, if you live in Garland, Texas, bring it down to the Garland Community Garden at 4022 Naaman School Road and dump it into one of our compost bins. We need your veggies gone bad. 2. Instead of putting it in a bin, compost veggies and other organic matter right in the garden whenever possible as this is the least work and the cheapest route. Of course most manures [except for cold manures such as rabbit, Llama and Alpaca] should not be put directly in the bed as they can burn the roots of plants and they might contain bacteria and other pathogens harmful to people and animals. Cow, chicken and horse manure must be hot-composted in a bin for a few months prior to introducing to your plant beds. When you compost right in the garden where you will be installing plants and seeds, you eliminate the back-breaking work of transferring the compost to a wagon, hauling it to the bed, and then shoveling it into the garden. You also eliminate the expense of containers for your compost. 1) Make a cylinder out of chicken wire that is about 12 inches in diameter and 2.5 feet tall. Weave three or four bamboo sticks vertically around it for support. Dig a hole in the middle of your bed about a foot deep and put the chicken wire cylinder in it. Then, when you toss those veggies away you can toss directly into your garden. Since vegetables are high in water content, this will help reduce the need to water the area where you have installed these compost baskets. The roots of your plants will seek out these nutrients. 2) Follow the lasagna garden bed method (layers of organic matter such as leaves, cardboard, decaying veggies and rabbit manure) for creating the soil in your vegetable garden year after year. When fall is almost over, drive around your neighborhood picking up leaves that your neighbors have bagged. Put these leaves on top of your existing bed and water thoroughly. Mix rabbit manure and vegetable scraps with the manure and then cover with black 6 mil plastic. Let everything cook until March when you can start planting some vegetables. In terms of the leadership of Garland's Mayor Athas, I want to be perfectly clear to all that he has been a huge supporter of our community garden. In fact, I'm quite certain that without his enthusiastic support, it never would have come into existence. The mayor has personally visited our garden many times and he has even attended several Loving Garland Green meetings. He also attended our first installation of an urban garden in the home of a Garland resident. In fact, he even did some of the physical labor involved in installing this square foot garden. In addition, the mayor has made it a point to drop by Loving Garland Green's booth at the local Garland Marketplace throughout the season without fail. Mayor Athas is very supportive of urban gardens in our community and I totally appreciate all that he and his assistant, Beth, have done for our organization. Our City Manager, Bill Dollar, has also been very supportive of the garden. For example, on the day that Loving Garland Green signed our contract with the city, Mr. Dollar had the city deliver a truckload of mulch to our garden area. Still, as President of Loving Garland Green, I would like to set my community straight regarding these bags so you don't think we are "trashing up the place." First of all, they are not "trash bags". They are leaf bags that are filled with clean leaves that are being used to build up the soil of the existing beds and to build new beds down at the garden. Second of all, they are not permanent fixtures on the landscape. Members of Loving Garland Green are emptying them daily into the garden. We hope to have them all blended into the garden by the end of January and we ask your patience for the next six weeks--a lot shorter time period, for example, than the ongoing construction of our City Hall. And finally, we invite you down to the garden. 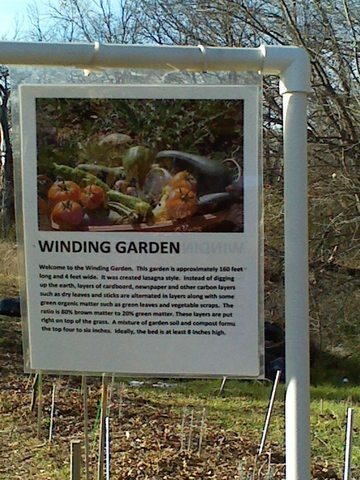 There, you will find a sign in the back of the garden by the leaf bags that explains how the garden soil at the Garland Community Garden is created. We use an organic method called "the lasagna method." This involves putting down a layer of cardboard, wetting it thoroughly to create a barrier to sunlight that will kill the grass and weeds. On top of that layer we will put newspaper, leaves and green compost along with rabbit manure. We will cover these beds with black 6 mil plastic and let them cook until the first of March. At that time we will remove the layer of plastic and begin planting. Once the plants are established, we will mulch. If you would like more education on this method, you can access http://lovinggarlandgreen.org and search on our website under "lasagna garden." There you will find more information and even a video on the topic. This is the most economical method for creating healthy soil needed to grow healthy vegetables. Our organization could not afford to purchase as much soil as we would need to supply this garden. In addition, by using this method, we are an example for the community, showing them how to build a great garden with little or no money. We have presented demonstrations of these builds at various community events over the past year--including the Healthy Living Expo here in Garland this fall. In addition to the sign (which has been there for several months) explaining the Winding Garden and because of the report of the complaints "from several sources", I created two more signs today explaining the leaf bags and cardboard. One of these signs is in the back of the garden near the leaf bags, and the other one is in the front part of the garden. These new signs briefly explain the presence of the leaf bags and cardboard and simply request your patience over this transition period. If you see me or another member of Loving Garland Green down at the garden dumping and watering leaves, please feel free to stop and help us--especially if you happen to be one of the complainers. That way you can assist in removing the source of your complaints and at the same time help to make your community better. I spent most of yesterday down at the Garland Community Garden dumping dead leaves, sprinkling compost on top of them and then soaking the pile heavily with water--all in preparation for spring planting. As usual, when alone, like many folks, I tend to contemplate the heavier side of life as well as many of its ironies and paradoxes. 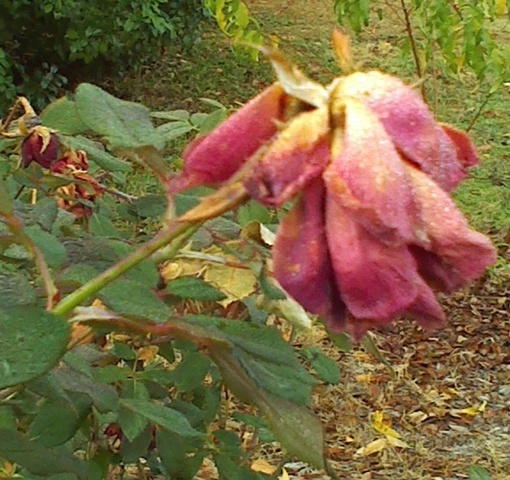 Somehow, although perfectly natural, it seems a bit twisted to me for the dead to nourish the living, yet that is certainly the cycle of things in the garden--especially if you are an organic gardener who uses leaves and compost to create the soil for your seeds. It's the same way with relationships, the leftover experiences and memories become the soil for new relationship and life experiences. We bring that soil with us and in many ways it is similar to the soil in the garden. If garden soil is toxic or lacking in essential minerals, it needs to be cleaned up before planting new plants and so it is with relationships as well. I guess that's why we are often advised to take some time to examine ourselves before seeking another relationship right away. And I guess that is why I love the garden so well as it contains far more life lessons than I'll ever be able to grasp in one lifetime. As Pema Chodron points out in his book, "Living Beautifully with Uncertainty and Change": "In difficult times, the stress of trying to find solid ground--something predictable and safe to stand on--seems to intensify. But in truth, the very nature of our existence is forever in flux--just like plants in a garden. Everything keeps changing, whether we are aware of it or not." And yet, so many of us spend so much time trying to "stabilize" things. In fact, these very efforts are often the source of our unhappiness. Perhaps the main requirement for "living beautifully" is to come to terms with uncertainty and change and realize that I can never completely 'get it all together'. Increasing my tolerance for instability and change by learning how to embrace unpredictability and uncertainty as vehicles that can transform my life is one good start. At the moment, the best I can do in order to travel in that direction is to continue repeating the mantra: When one door closes, another even better one opens. 1. The Pratimoksha Vow which is the foundation for personal freedom--a commitment to doing our best to not cause harm with my actions words or thoughts. 2. The Bodhisattva Vow which is the next step to being comfortable to groundlessness is a commitment to helping others by nurturing our compassion. Perhaps one of the weirdest paradoxes of nature to me is that December 21 marks the beginning of the deadest season of the year--winter. At the same time, the very day after the Winter Solstice, the days begin to get longer and the dark night shorter. The promise of spring is then the gift of winter.